Are you new to the RV world and wondering what to keep an eye out for with your freshly bought vehicle? At some point or another, every RVer now on the road had to take their baby steps into the lifestyle. While some of us were lucky to grow up around RV enthusiasts, there are many who’re just getting their feet in the water. If there’s anything a veteran RVer can teach a newcomer, it’s the nine most common mistakes we’ve all made. Let’s be honest, when you first buy an RV, it’s impossible to know the ins and outs of your vehicle. These are big machines we’re working with that have a lot of to be handled. In this post, we’ll teach you the mistakes most rookie RVers aren’t aware of making before and after the buy. It may seem obvious, but RVs aren’t your stereotypical vehicle. They’re made big enough to be a mobile home. So, it’s going to take some practice on the road to get the hang of driving something so large. Parking can be difficult. Sharp corners will have to be taken with less speed and more precision. And there are instances where people get their RV stuck under a bridge too low to fit. Know your size and train your driving. When it comes to parking, a spotter is highly recommended. One of the first pieces of advice long-time RVers will give you is to study your vehicle’s operations. The dumping ground after a great camp visit is a prime example. If you don’t know what you’re doing, you’ll have a line of vehicles behind waiting for you to figure it out. 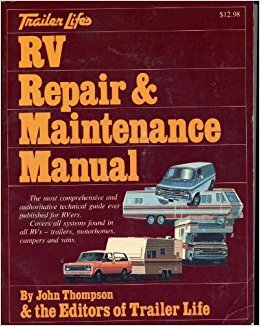 You can avoid this by studying the manual that comes with your RV. When diving into the booklet, you’ll find a whole assortment of controls and switches that are impossible to understand at first glance. Take the time to know all the little details. It’ll help immensely when you’re on the road. As you leave campgrounds, you’re going to have a lot on your mind. And on occasions, you might not remember to disconnect either the electrical cord or sewer hose. You ever notice an RV on the freeway dragging a long tube behind it? It happens frequently enough and it’s usually due to us RVers simply forgetting. The more and more you enjoy campgrounds, the more you’ll find how much of a community it really is. Fellow RVers are your short-term neighbors who expect the same decency you’d give to a residential neighbor. Though this might seem obvious, you’d be surprised how many are willing to dump their tanks right on their campground. Be courteous of your fellow camper and you might just find yourself making some friends on your RV journeys. Many rookie RVers are unaware that most RV awnings aren’t built for rough weather conditions. These include heavy wind or rain. More often than not, leaving an awning out in such situations will turn it into a hunk of scrambled up metal. You can easily avoid this mess by keeping up with the weather. If bad storms are up ahead, bring it in. You might figure this is something everyone does before any vacation. However, when using an RV, you’ll have to consider more than your fellow road trippers. For instance, though the vehicles are big and can fit a lot of storage, you don’t want to overpack. The heavyweight can make driving/stopping your RV much more dangerous. Keep in mind what you truly need for your trip. With that, also be aware of how much time you have to travel a certain amount of distance. We hear stories of people trying to travel far distances with a short amount of time on their hands. For one, this kind of frantic road trip could cause you to push your RV past its limits. Secondly, the open road is an experience to take in. If you’re interested, KOA offers a great trip planner. Once you’ve studied the manual inside and out, you’ll realize there’s a lot you’ll need to go over every time you hit the road. This can be anything from the TV antenna being in place to the vents being shut. There are a variety of online checklists to use as a resource. But since every RV is different, it might be more beneficial to make one of your own. An important trick to making sure your RV is in tip-top shape is to check your list twice. You may have missed something you catch the second time around. It might sound silly to put something such as your freezer on this list, but there’s one important factor most new time RVers don’t get right off the bat. An RV freezer is not like your residential freezer. With enough time, ice builds up creating less room for your food and malfunctions for the freezer. You must remember to defrost. There are numerous ways to do this. Most people just unplug the fridge and remove their food. However, if you want to speed the process, you can always use a hairdryer to melt the ice. Have you ever tried using the bathroom at an angle? 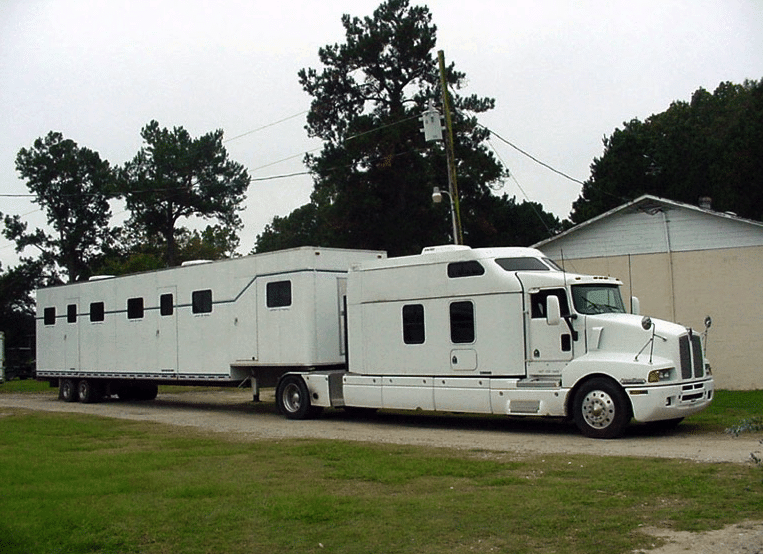 You might find yourself doing so if your RV isn’t properly leveled. It’s a common mistake and the least harmful. But knowing how to level your RV will guarantee you aren’t waking up only to climb a small hill in order to reach the kitchen. More often than not, we’re unaware of how unleveled a campsite may be. Luckily, it’s an easy fix as long as you know how your RV works. Your first RV trip will be one of the most memorable. You’ll begin to find yourself realizing why so many love traveling the open road. We hope this blog post will make you more aware of the mistakes common to most new-time RVers. 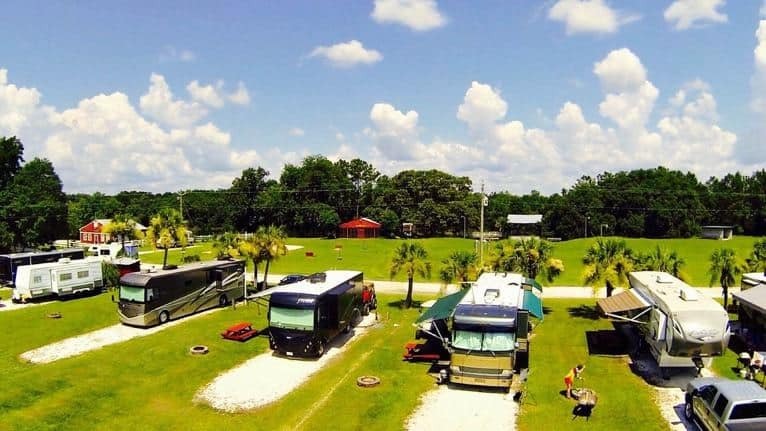 For we want you to enjoy the RVing world with as little hassle as possible.